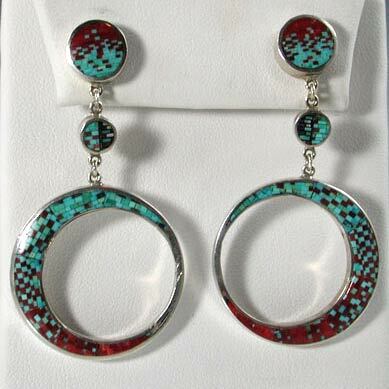 Born in Ganado, Arizona in 1964, Perry Shorty began jewelry making in the mid 1980’s. 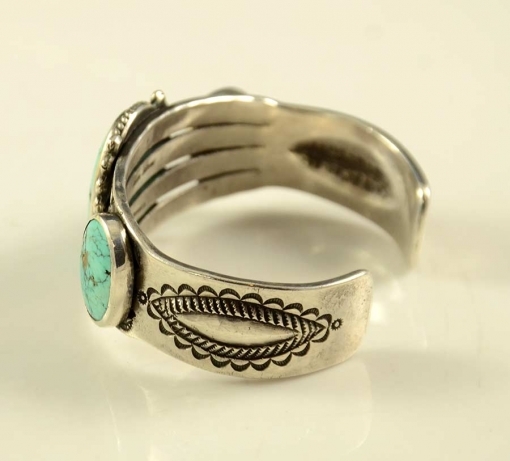 “Perry Shorty makes hand-forged jewelry that reflects the classic early Navajo style. His methods are those of the early Navajo Silversmiths. 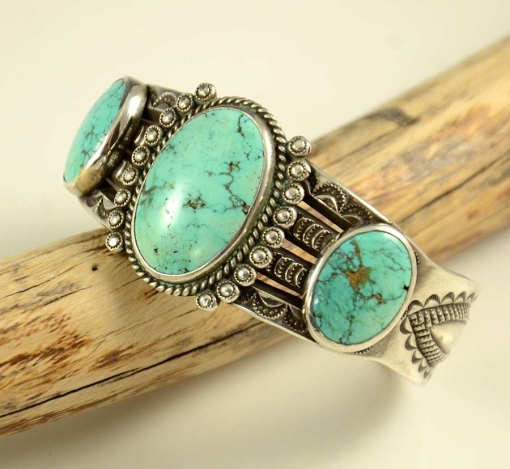 Using traditional techniques of the first, second and third phase jewelers (1880 to 1940’s), Perry creates jewelry that has lead him to become one of the most collectable and sought after Navajo jewelers working today. He melts ‘Charles Barber’ (1890 to 1915) silver coins and from a carved tufa mold casts them into ingots. With a hammer he begins pounding. Then along with files, chisels and his hand-made stamps he forms melted silver into beautiful wearable art.” Taken from Perry Shorty‘s Website.